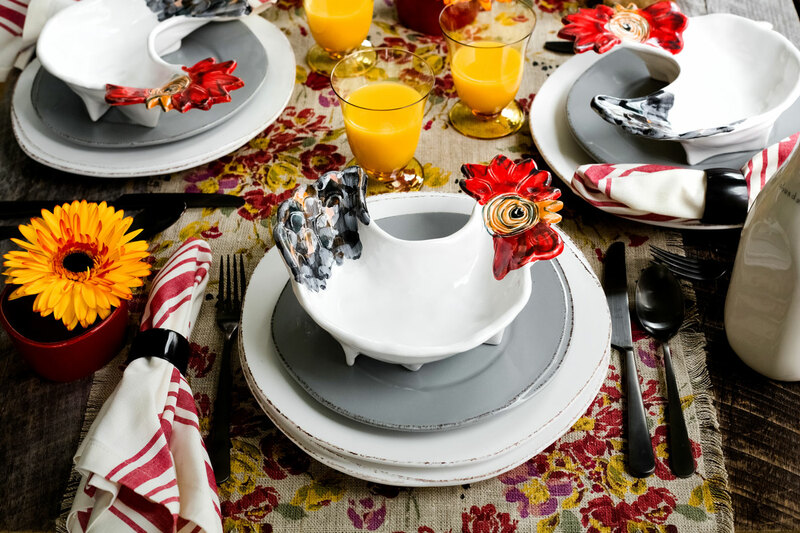 An Italian symbol for good luck, Vietri's Fortunata Rooster encourages us to gather around the table with an assortment of handpainted and figural roosters. Playful and chic, this collection easily layers with Lastra for a simply sophisticated tablescape. Handpainted on Italian stoneware and handcrafted of terra bianca in Tuscany. Dishwasher safe. Italian stoneware pieces are dishwasher, microwave, freezer and oven safe.